The AlcoHAWK® RapidScreen from Quest Products is the newest fuel-cell breathalyzer designed to test in both active or passive modes ideal in environments such as schools, roadside screenings, probations, jails, hospital, clinics and many more zero tolerance testing applications. The AlcoHAWK RapidScreen is non-invasive, NO mouthpieces or special attachments are required, making screening for the presence of alcohol easier than ever! 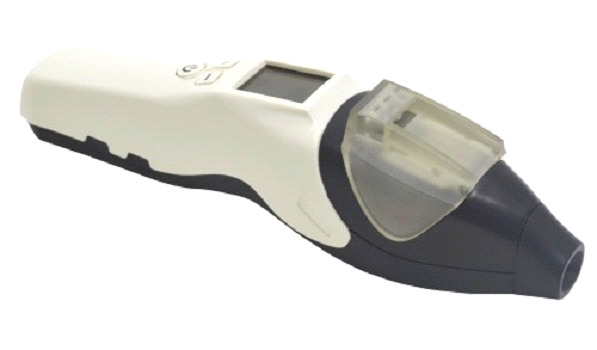 If you have any questions regarding this breathalyzer please call us at (800)355-2956. Schools: Monitor students for the presence of alcohol at any school function. Employers: Enforcing a Zero-Tolerance policy has never been easier or quicker with the AlcoHAWK RapidScreen fuel-cell breathalyzer. Hospitals and Clinics: Check patients for the presence of alcohol prior to administering medications.